Vitamin C serves many roles for our immune system, adrenal glands, tissue development & is a powerful antioxidant. Unfortunately Vitamin C is easily washed from the body & needs to be replaced constantly. While it is an excellent support system for the digestive tract, it also improve the assimilation of food, helps make body collagen, aids in maintaining skin integrity & our adrenal glands need large amounts of this nutrient to produce energy. 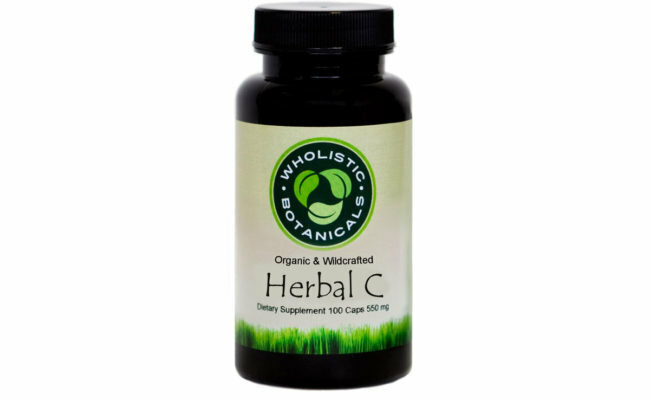 Wholistic Botanicals Herbal C caps contains the richest & most natural sources of Vitamin C in the plant kingdom & helps support your immune system.